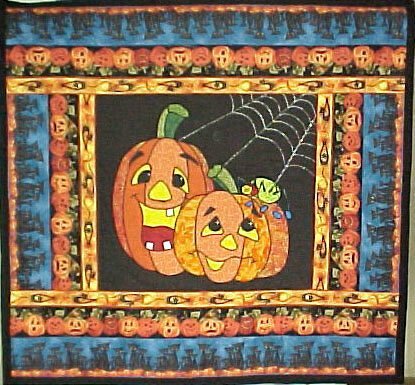 These two pumpkins are easily completed by using fusible and a satin stitch. The metallic web adds just the right amount of glitter. It's a fun addition for your Halloween. Fun and fast to put together using fusible and machine applique techniques. Beginners will love this quilt.